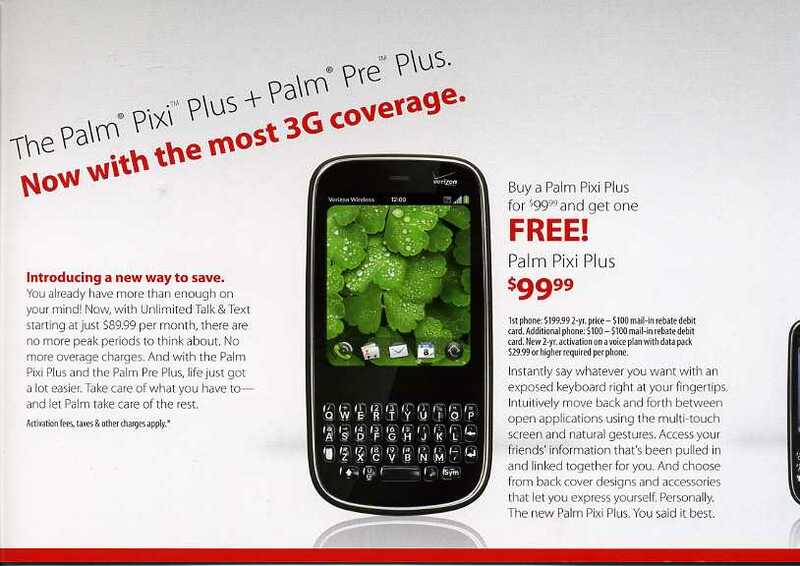 If you’ve watched any TV in the last week you’ve probably seen an ad for the Palm Pre Plus on Verizon, and maybe even one for the Pixi Plus. 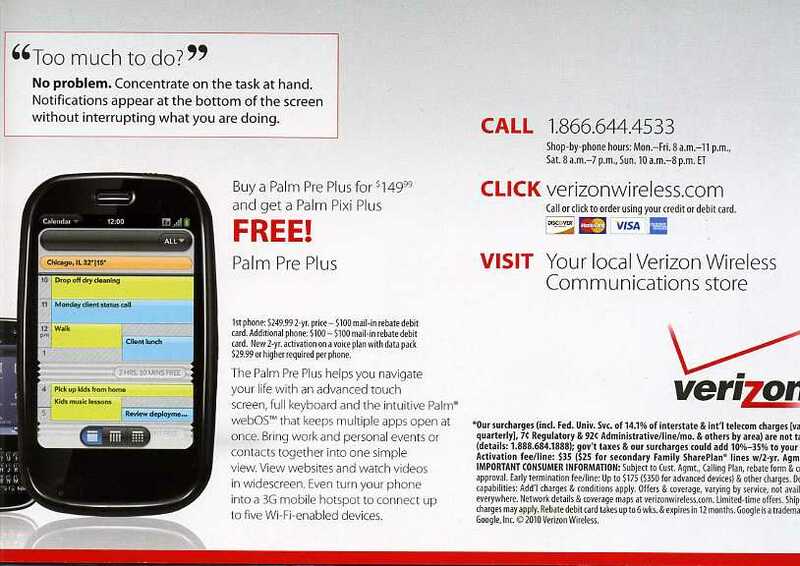 But TV land isn’t the only place you’ll see Palm gear advertised - as we saw earlier in the week with the Pixi Plus Verizon BOGO ad destined for a weekly newspaper. Newspapers are old media, baby. Signs on the street are where it’s at these days, with people walking around their cities and stuff. 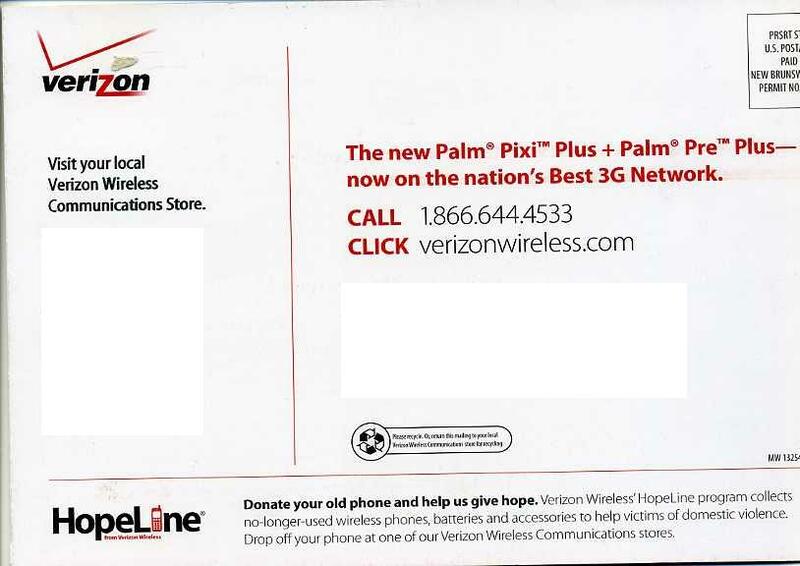 As such, we’ve received shots from around the country of reader running into Palm and Verizon advertising for the Pre Plus and Pixi Plus. It’s in office towers, its at bus stops, and its in art festivals... in Miami! We know you’re all worked up on the idea of Miami in February, but we’re going to throw some ice on that and take you to Minneapolis, where Ryan found the below ad plastered on a wall in his office tower. 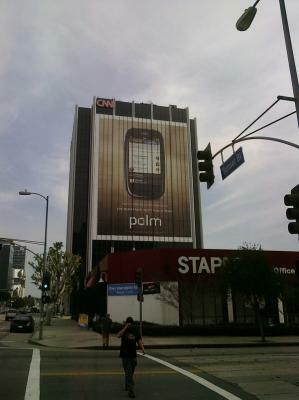 As you can see, this one is all Palm, and even though it features the Pre Plus, there’s no Verizon branding to be seen. 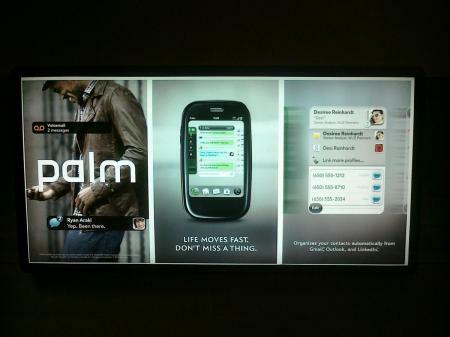 Is it the best “this is webOS” ad we’ve seen before? Not really, but it’s not easy to show off multi-tasking and unobtrusive notifications on a miniature billboard, or on a big one for that matter. On the other hand, Synergy is easy to show off, and we can guarantee that Exchange icon’s going to catch more than a few office worker eyes. Targeted advertising = win. Okay, now for Miami. Forum member JAHLuv7 was in sunny Florida and decided to swing by Miami’s Coconut Grove Art Festival. 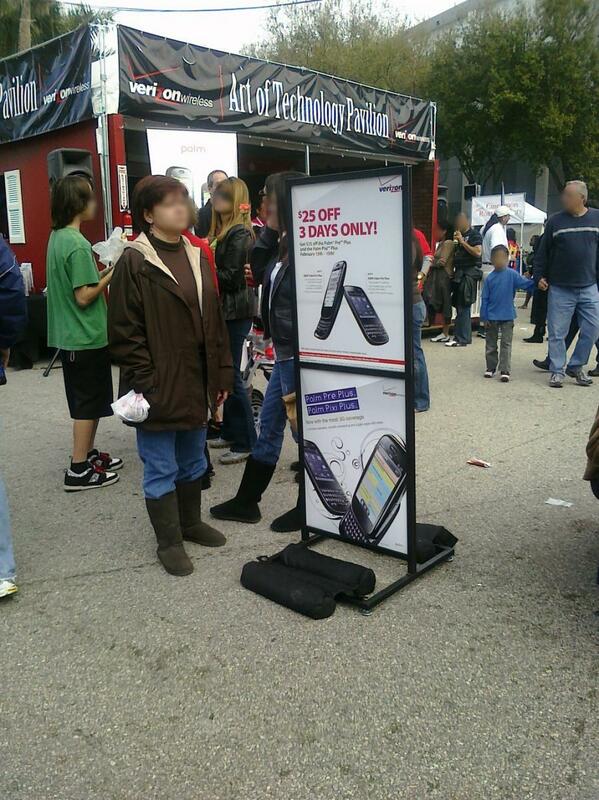 Nestled amongst outdoor booths of fine cuisine, artwork, and live performances was a booth from Verizon. At first glance you’d think it was all about Verizon, but upon closer inspection we found that this booth was all about the Pre Plus and Pixi Plus, with devices on hand for live demos from. A Palm rep was even on hand and Verizon employees held contests throughout the day to give away Pre Plus phones to festival-goers. More pictures are here, in the PreCentral forum. If you're not already a member, you really should consider joining. And on the way out, JAHLuv7 spotted more Pre Plus advertising, this time at the bus stop. 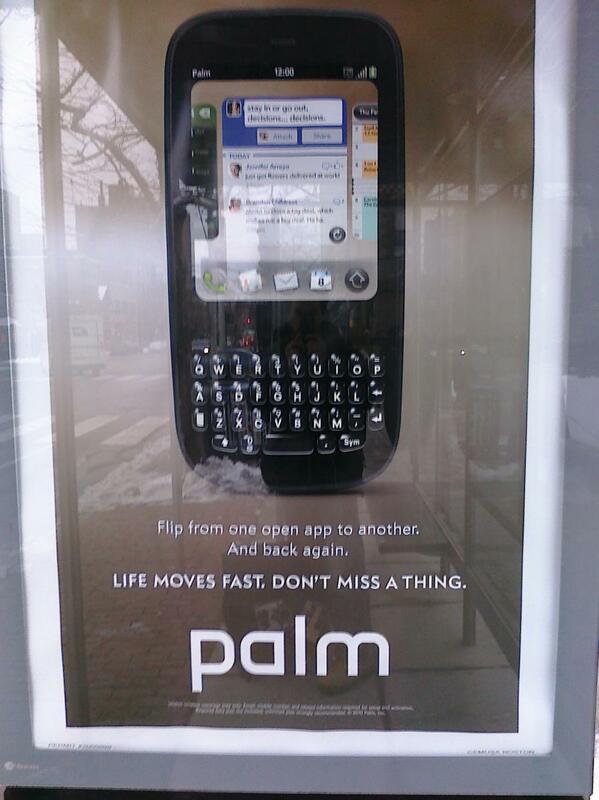 This was another ad done all by Palm, and sporting the same “Life moves fast. Don’t miss a thing” mantra from the Minneapolis office tower ad. 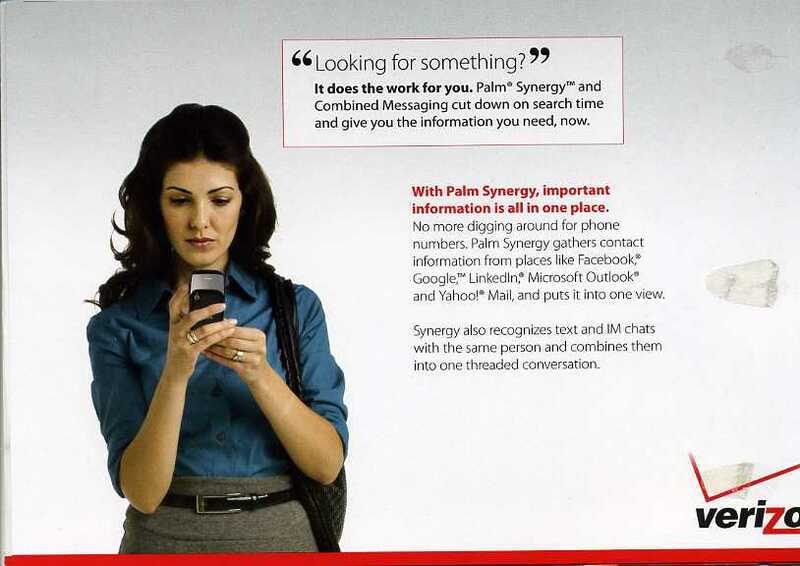 Unlike that previous ad, this one shows you how it all fits together. In one view you get instant messaging, email, and voicemail and the simplest and clearest of explanations: Get notifications without interruption. 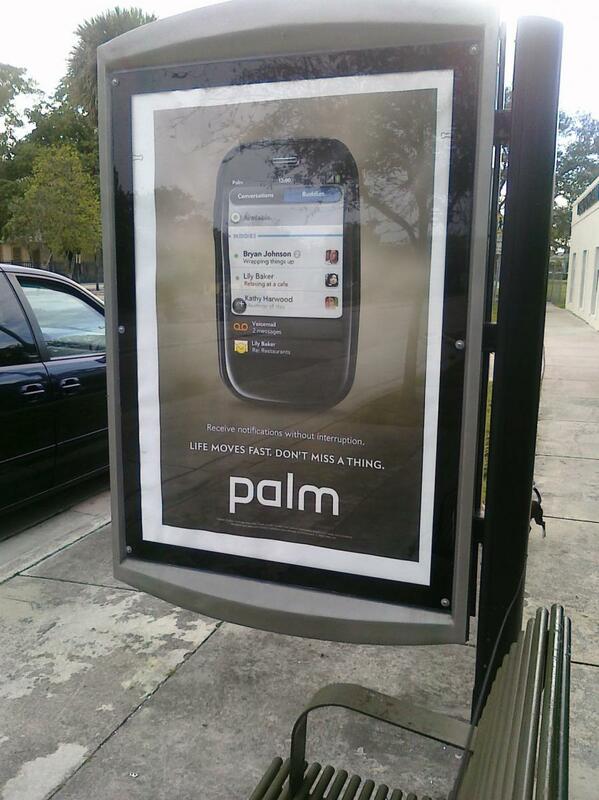 Miami’s not the only place with bus stop ads from Palm. Cambridge, Massachusetts has got them too, as danib62 let us know. He snapped this Pixi Plus ad, also a Palm-only creation, that tries its hardest to explain how the cards metaphor multi-tasking that defines webOS works, but we can help but wonder if it would have worked better as one of those old-school multiplex holograms to show off the actual switching of apps. Regardless, we’re starting to notice a theme from Palm here: Life moves fast. Don’t miss a thing. 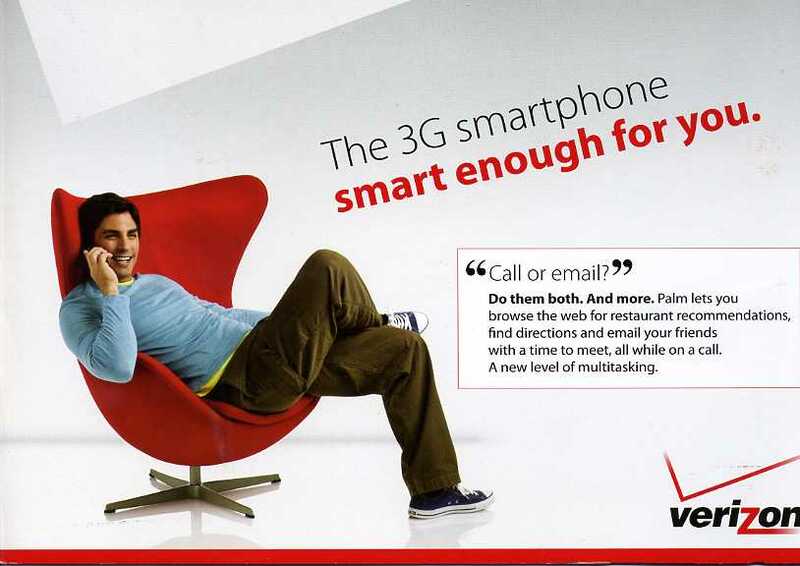 Verizon's mail marketing division got in on the action too. 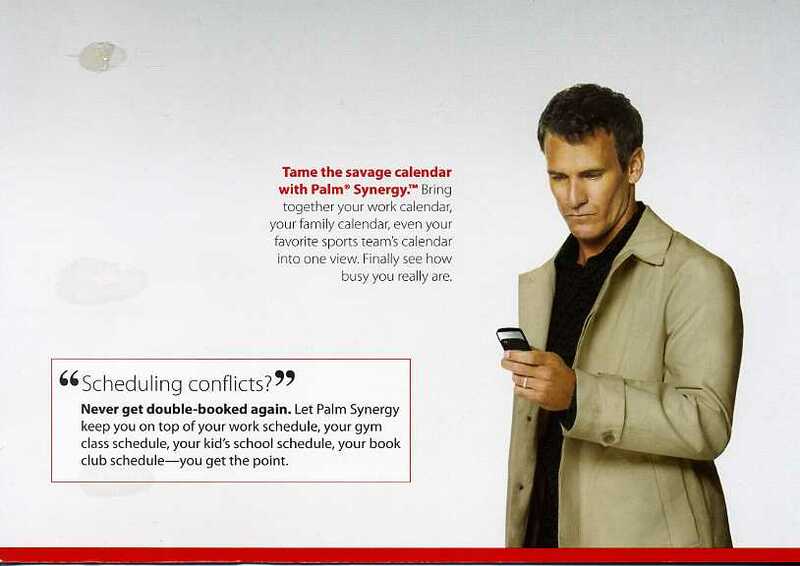 James, a subscriber to Big Red's landline service, recently received this three-pane fold-out from Verizon. The mailer touts both the Pre Plus and the Pixi Plus, puts some emphasis on the BOGO promotion, and tackles Synergy and notifications. You've heard the phrase "go big or go home", right? 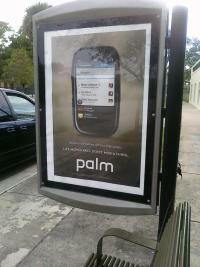 If not, this Palm billboard that forum member Palmwebos posted, taken by @dragongears ought put that into perspective. By our guesstimation, that Pre Plus is close to 60 feet tall - not quite pocketable even for King Kong. Lastly, Jahir tipped us on an email he received from Best Buy, notifying him that they too have the Verizon Pre Plus and would be more than happy to sell it to us. 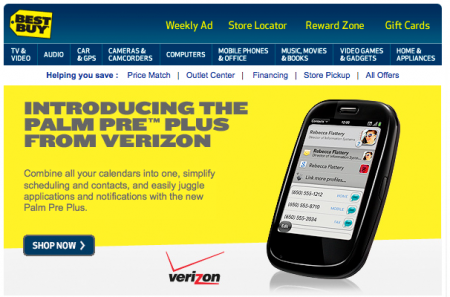 Indeed, Best Buy does have the Pre Plus on sale, but by golly you can get it for less from PreCentral!